Well, well, well...what do we have here? 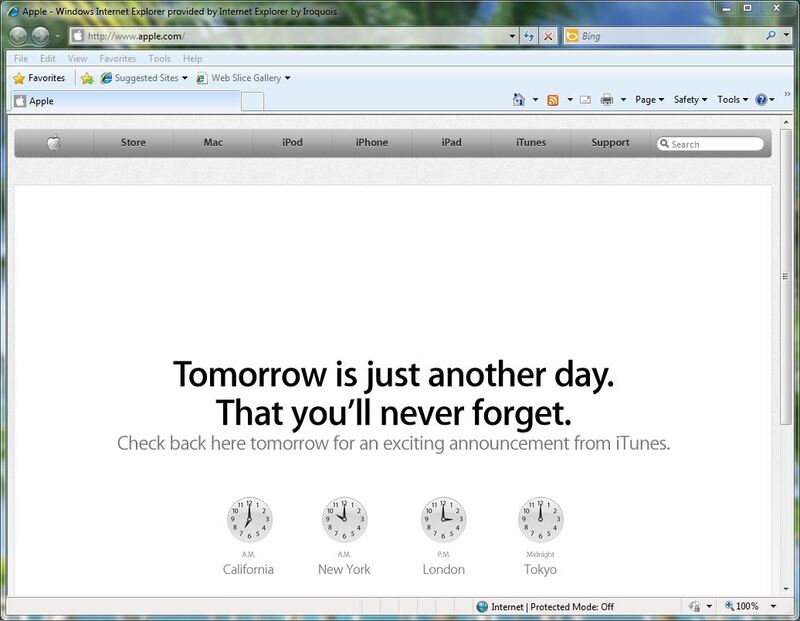 Anyone visiting the Apple website today was greeted by the above splash page. 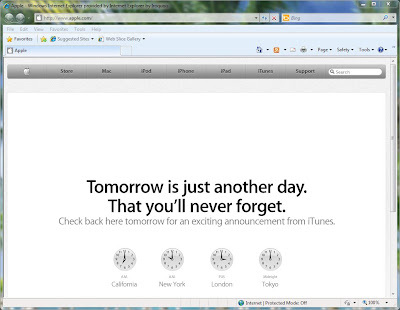 Apple's legendary secrecy is clearly alive and well as we heard all sorts of rumors around the release of Mac OS X 10.6.5, iTunes 10.1 for Mac OS X and Windows PC, and we even had gotten word of not one, but two possible release dates for the iOS 4.2 update. But this, my dear readers, was completely off the radar. 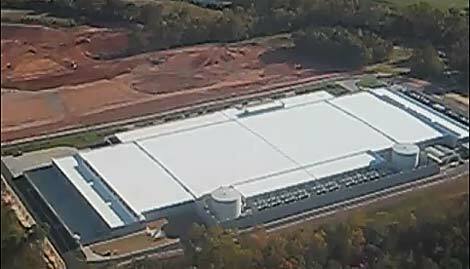 If I had to guess what might be going on tomorrow morning at 10:00am, I will only speculate that whatever it is, will likely have to do with Apple's new massive data center in North Carolina. Back on October 25, AppleInsider.com reported that "According to a Data Center Knowledge report published Sunday, the data center is "fully operational," with Apple beginning to "ramp up production" at the server farm. The Cupertino, Calif., company could be planning to build a second facility on the site, the report notes." Below is an aerial photo of Apple's new data center.